Facebook Gifts coming to you and your friends soon! Do you remember Facebook’s virtual gifts? Well shannanigans just got REAL! 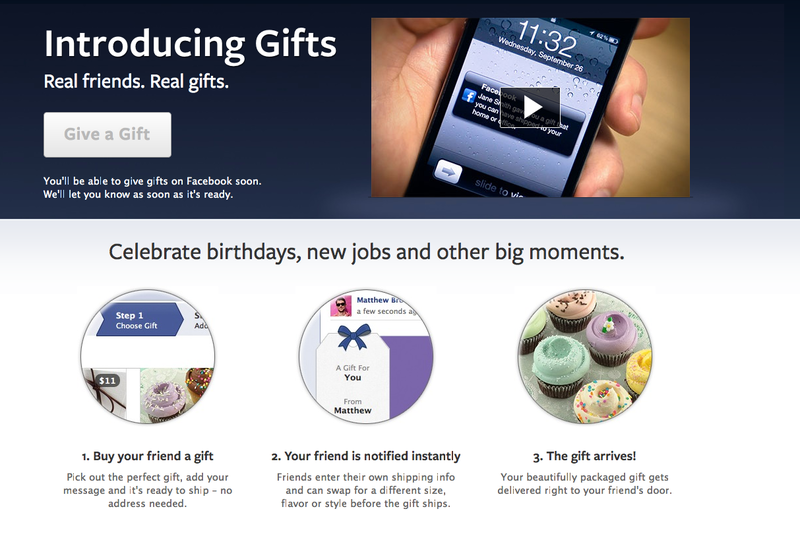 Yes, soon you will be able to send real gifts to your real friends right through Facebook. It looks awesome, but we haven’t got access yet. Maybe some of our friends in the US can try it out and let us know how it works for them? You heard it here first! See the official about page here. Whilst discussing it with some of the team and our friends, we were asked: Do you think it will pick up? And we think it will, as we said, we had even planned developing our own version but got busy with our clients awesome projects. Think about it… its a relatives birthday, you can write on their wall or send them an actual gift, we think there’s something to it. What do you think? Next:Remember when I told you not to make multiple personal accounts on Facebook?